Our European Book Bundle is a collection of four books by European authors exploring the beauty and diversity of this colourful continent through stories of love. 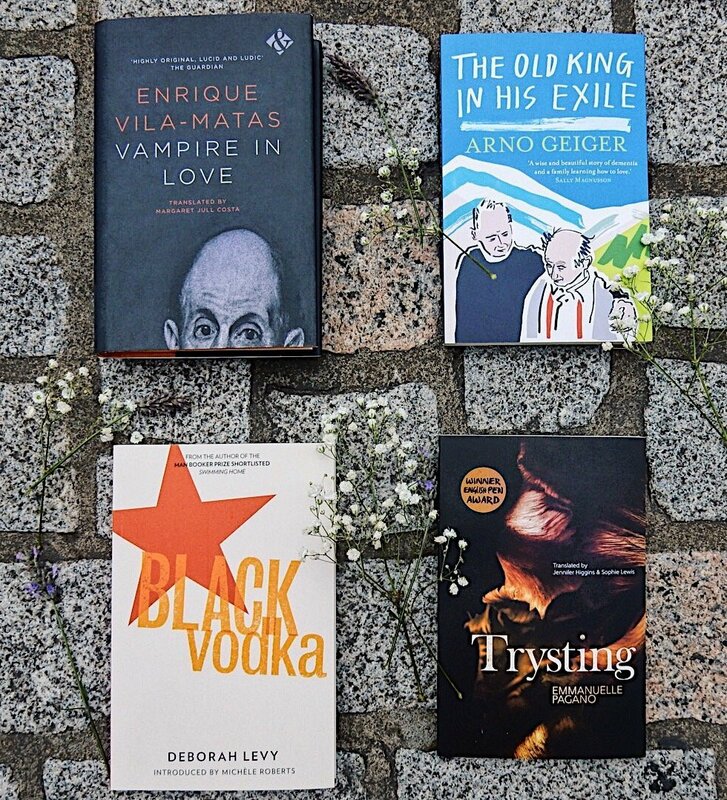 The bundle includes Black Vodka by UK author Deborah Levy, Trysting by French author Emmanuelle Pagano, The Old King in His Exile by Austrian author Arno Geiger and Vampire in Love by Spanish author Enrique Vila-Matas. Buy all four books as a discounted bundle for only £22 (full price £43.98).